IT was never Renato S. Gargallo's plan to work in the hospitality industry. But fate had plans for him as instead of enrolling in engineering course, he found himself enlisting for a bachelor's degree in hotel and restaurant management at the San Sebastian College – Recoletos. "I never wanted to be an hotelier, I really wanted to be an engineer. It so happened that the opportunity to become an engineer closed," he said. 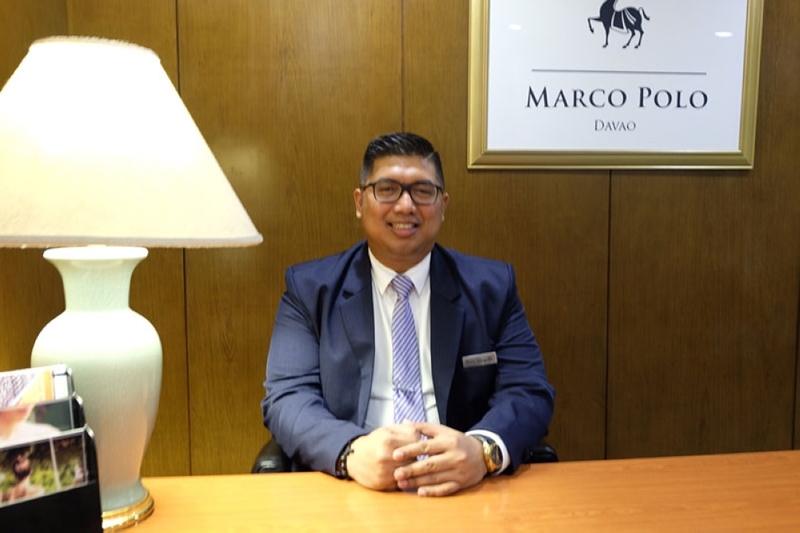 Gargallo, new RBE manager of Marco Polo Davao, said he chose the program on hotel and restaurant management as he found it somehow interesting. "I tried it and told myself that if I am not happy with the course, then I will just shift to a computer-related course. However, it was fate that I ended up completing the hotel and restaurant management course," he said. Gargallo, who is a San Sebastian College – Recoletos alumnus said, during his college days he found himself leaning towards the management side of things. "When I was studying, I thought I was built to manage. During my first job fair, I told my classmates before, I wanted to be an assistant manager of a fastfood or something. That will be my training ground," he said. Gargallo added, "They were all laughing at me and I told them that someday I will be the head of a department." His determination and hard work allowed him to be part of the opening team of three hotels and five restaurants. "My first work was with French Baker. I was an assistant manager there and then became an outlet manager at 21," Gargallo said. He was with the cafe from 1999 to 2004. In 2004, Gargallo first entered the hotel industry when he worked for Hyatt Hotel and Casino Manila. He was assigned in the Chinese restaurant where the service is French fine dining. He was later transferred to the banquet. In 2007, he joined Mandarin Oriental Hotel as bar manager. In 2009, he became part of the opening team of the Shangri-La's Boracay Resort and Spa.